One of the most iconic spots in all of South America, the El Tatio geysers have been bringing tourists to the continent for many years. The third largest geyser field in the world might be of great scientific interest but for many, it’s their mystical aura and the sense of danger that they and their surroundings present. This makes them an absolute must see, appearing on the bucket lists of many and the holiday dreams of even more. 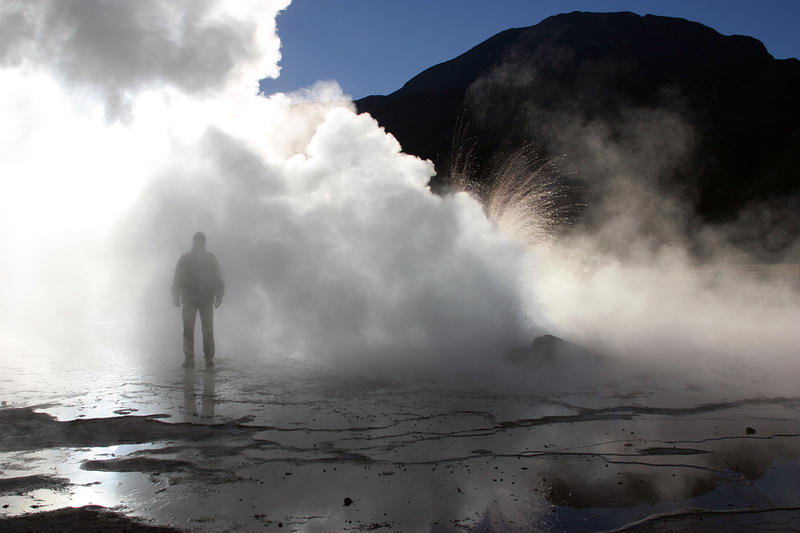 But before you embark on your holiday to Chile, here’s a few things you’ll want to know about the El Tatio geysers. 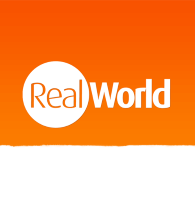 You might imagine – what with being surrounded by actual real-life volcanoes – that dressing for your trip to El Tatio would be fairly straightforward. However, not is all as it seems. When planning a trip to Chile, it’s important to note that the country is known for its extreme weather, meaning that depending on the time of day, you may be facing sub-zero temperatures as well as serious heat once the sun decides to make an appearance. 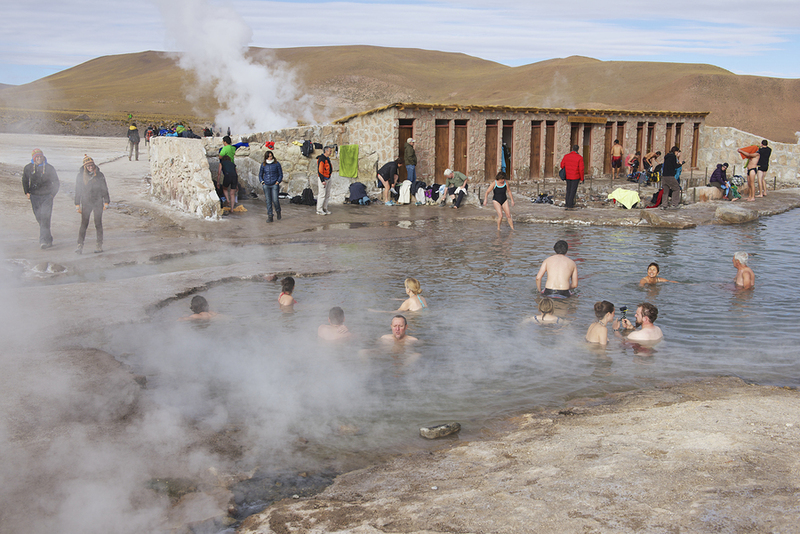 Because of this, it’s important to pack for both seriously hot and cold weather, alongside swimming gear if you plan on having a dip in El Tatio’s hot springs. Although it is a popular tourist destination, that doesn’t mean that the risks inherently posed by such an intense natural environment require any less attention. We’ve already mentioned the weather extremes and how properly preparing will prevent a potentially very uncomfortable journey. However, the active geysers themselves can cause injury if you get too close to be hit by their boiling hot water. Another natural element you’ll need to pay attention to is the altitude, which can be a challenge for some. We advise you to lay off the booze the night before and eat light meals before you arrive to prevent this from being too much of an issue. Despite being one of the most popular tourist destinations in all of Chile – and indeed South America in general – you’d be surprised by just how cheaply you can get a lengthy tour of the area. Although exact prices differ based on a number of factors, getting a tour alongside food can often come to well under £50, which for such an unforgettable experience, we’d say is quite the bargain. Other than chilling out in the springs or enjoying the sights and natural wonders which surround you, there’s no doubt that the other most popular tourist activity is to take pictures: lots and lots of pictures. And in all honesty, who can blame them? This is such a stunningly beautiful part of South America and many only have the chance to visit once, so capturing those memories becomes a big part of the trip. As global energy demands mean that the world needs to get ever more inventive in a pursuit for fuel, unusual places are now of interest for their natural vitality. 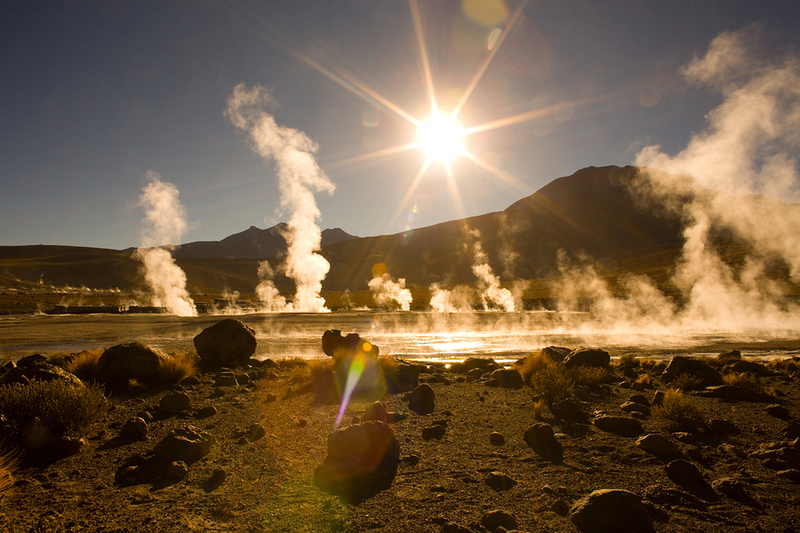 This includes the El Tatio geysers, which is of interest to energy companies for its geothermal power. Attempts have been made to take advantage of these assets. However, in 2009, a drilling well blew out, turning public opinion against the use of geothermal energy. It’s also worth mentioning that other countries that have gone down similar routes have seen their geysers extinction. While we don’t know what the future holds in this regard, there is a real possibility that at some point in the future, El Tatio’s geysers will be no longer due to human exploitation, so if you want to see this natural wonder, then it’s best to do it sooner rather than later.